The overnight internet sensation that is Wonky Donkey is now on sale here! Hurry copies are selling fast! 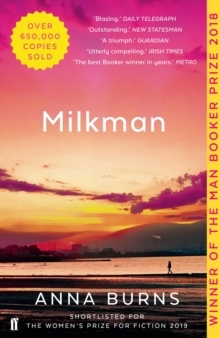 Milkman by Anna Burns is this year’s winner of the Man Booker Prize. Milkman is extraordinary. I’ve been reading passages aloud for the pleasure of hearing it. It’s frightening, hilarious, wily and joyous all at the same time.’ – Lisa McInerney, author of The Glorious Heresies In this unnamed city, to be interesting is dangerous. Middle sister, our protagonist, is busy attempting to keep her mother from discovering her maybe-boyfriend and to keep everyone in the dark about her encounter with Milkman. But when first brother-in-law sniffs out her struggle, and rumours start to swell, middle sister becomes ‘interesting’. The last thing she ever wanted to be. The broadcast brothers are of course our very own High Peak Radio Paul Jenner and his brother Steve. 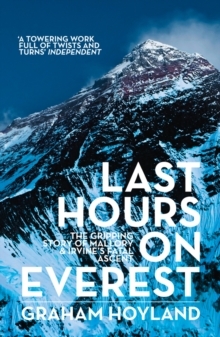 Last Hours on Everest, a truly fascinating account of Mallory and Irvine’s fatal ascent and Walking Through Spring are also written by Graham. What leads us to believe in monsters? What happens when we meet the brutal creatures of our nightmares? 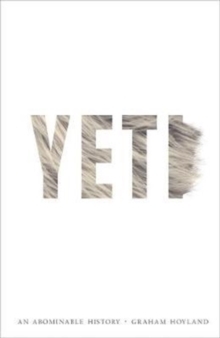 Tales of the Yeti, the `Abominable Snowman’ of the Himalayas, have been recorded for centuries. This huge, ape-like, hairy creature has tantalised explorers, mountaineers and locals with curious footprints and elusive appearances. But until recently, no one has been able to identify what this mythical creature might be, or even determine if it is real. On an expedition to the remote Himalayan kingdom of Bhutan, Graham Hoyland found and filmed footprints of the mythical yeti in a part of the country that has never before been visited by Western explorers. 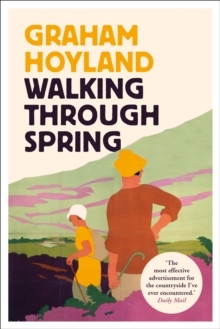 In a lost valley near the unclimbed mountain Gangkar Punsum, Hoyland believes he was stalked by the mysterious yeti, a beast so unspeakably powerful that locals say it can kill a yak with one savage blow of its fist. As he delves into the fascinating history of this ancient legend, Hoyland hears tales of the yeti from Sherpas who have tried and failed to track it. He explores the literary hinterland behind the legend and searches for the yeti’s American cousin Bigfoot, the Loch Ness monster and her African relative Mokele-Mbembe. From the dubious, mystical pseudo-science of the Nazis in the 1930s to our current era of `post-truth’ and `fake news’, Hoyland examines the age-old cultural phenomena that have shaped our collective consciousness and fuelled a belief in the existence of these monstrous creatures. Author of Walking Through Spring and The Last Hours on Everest. 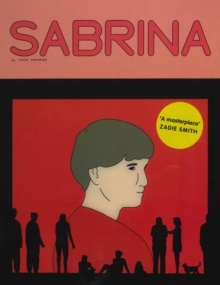 The first graphic novel to reach a Man Booker longlist and I believe it will reach the shortlist, announced later in the month. On my bedside table pile! STOP PRESS: FALL DOWN DEAD IS No3 IN THE SUNDAY TIMES BESTSELLERS LIST THIS WEEK! Lovely to have Stephen here last Saturday signing his new book – Fall Down Dead – the 18th Cooper and Fry bestselling crime detectives in another gripping tale, this time on Kinder! Fall Down Dead is on sale at £16.99 (RRP £20) and Dead in the Dark is now out in paperback.